BoxId: 627754 – "You've received a new text message in your mailbox!" "You've received a new text message in your mailbox!" 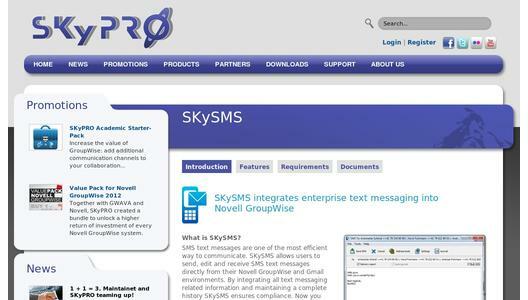 SKyPRO announces today the release of the next generation of SKySMS, the enterprise text messaging solution for GroupWare solutions. SKyPRO hosts virtual phone numbers for its customers. The numbers are assigned to SKySMS user mailboxes at the customer. There is no need for any additional hardware on the customer site for this option. The complete installation runs on a virtual basis. With the second option the customer uses their own GSM modem. The incoming and outgoing SMS will be processed through their own SIM cards on-site. 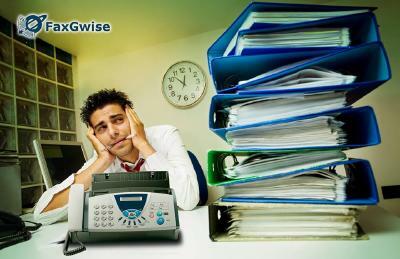 SKySMS supports established collaboration platforms such as Novell GroupWise and Gmail. It is compatible with all email platforms that support IMAP/SMTP protocols. "Over the past years there have been many changes in how we communicate", says Klaus Metz from the not-for-profit housing organization of Kassel City, Germany. 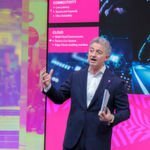 "Email, social media and countless apps for our mobiles...though text messages prove very useful in many urgent cases. It is the best way to reach our field personnel. As those text messages are sent mostly by office administrators online without using mobiles, we have up to now missed the feedback channel. SKySMS from SKyPRO meets our requirements completely: our field personnel can now reply to the sender directly." 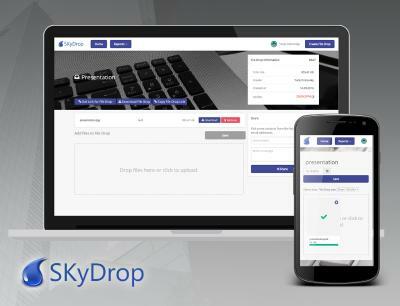 SKyPRO is a communications software company based in Switzerland. SKyPRO was founded in 1987 and has offices in Switzerland, the United States and Eastern Europe.